Javier grew up in the inner city of San Diego, California. 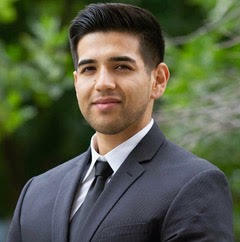 He enlisted in the Marine Corps in 2014 after graduating from high school and served as an Administrative Specialist at 3d Intelligence Battalion in Okinawa, JP and at Marine Corps Recruiting Command in Quantico, VA. After leaving active duty in 2018, Javier immediately began his time at the University of Pennsylvania (UPenn) to major in Philosophy, Politics, and Economics. At UPenn, he stays active in Veteran organizations, particularly those focused on Veterans in higher learning. Demonstratively, he is an alum of the Warrior Scholar Project (WSP), Service2School (S2S), and he is currently serving as the Vice President for the Student Veteran Association. Aside from this, Javier is a Chairman for the Penn Political Union which is a formal political debate organization featuring caucuses representing different political ideologies.